Collectively, we have more than 63 years of experience helping individuals, couples and organisations to achieve positive changes in their lives. We work tirelessly with you to achieve your goals. We are passionate about your success, your physical and mental wellbeing, and your relationships and we believe that everyone deserves to have the knowledge and skills to improve their mental and physical health, their quality of life and their relationships. We believe that everyone deserves to have the knowledge and skills to improve their mental and physical health, and their quality of life and relationships. We believe that it is up to individuals to make changes in their lives, but that their decisions should be well informed. We believe that people should know that they always have a choice – today, right now, they can take steps to improve their mental and physical health. Our focus is on your wellbeing, health and growth. Whatever your goal is, we will do our best to help you to achieve it. We work tirelessly to review the latest research and to implement effective and practical strategies in treatment plans. When you are in a session, be assured that we use strategies and techniques that have been tested and shown to be effective for people dealing with similar issues. We are passionate about working with you to reach your goals, whatever they might be – managing chronic mental illness, managing stress at work or home, controlling your anger or overcoming addictions. We are passionate about helping you to reach your potential, learn coping skills for dealing with adversities effectively, develop a good self-care plan, improve your relationships and overcome old issues that have weighed you down for a long time. Dr. Yuliya Richard was born and raised in Ukraine, where she obtained her first degree and became a qualified philologist and teacher. From Ukraine she moved to Germany, where she continued her studies in languages, sociology, and cross-cultural communication. After she migrated to Australia, Yuliya worked with several charities and NGOs, such as the Wayside Chapel, Wesley Mission, the Newtown Neighbourhood Centre and the Benevolent Society. Her therapeutic experience includes counselling with adults, children, parents who find parenting challenging, victims of domestic violence and other abuse, individuals with a range of emotional, adjustment and relationship issues, and migrants. 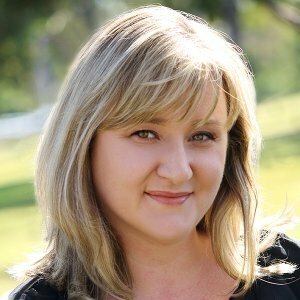 Yuliya’s areas of specialisation include developmental issues, wellbeing, depression, anxiety, stress management, work stress, relationships, conflict resolution, lifestyle issues, migration and cultural change, grief and loss. Her additional areas of interest are Health Psychology, Emotional Intelligence, and Organisational Psychology, as well as Culture and Psychology. She has proven that she is passionate about helping people from all walks of life to live balanced and fulfilling lives. Services are provided by Yuliya Richard. Yuliya’s philosophical orientation is strongly influenced by the Existential, Humanistic and Person-Centred approaches. Among others, she draws techniques from Solution-Focused, Cognitive-Behaviour, Mindfulness, Narrative and Existential therapies.